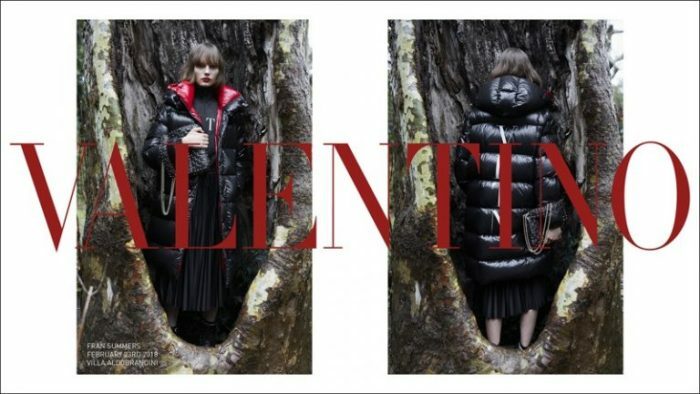 Valentino heads to the Italian countryside for its pre-fall 2018 campaign. 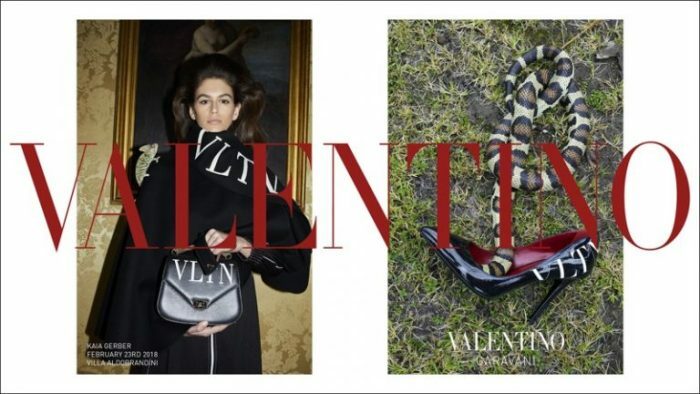 Model of the moment, Kaia Gerber, and rising star Fran Summers appear in the advertisements. 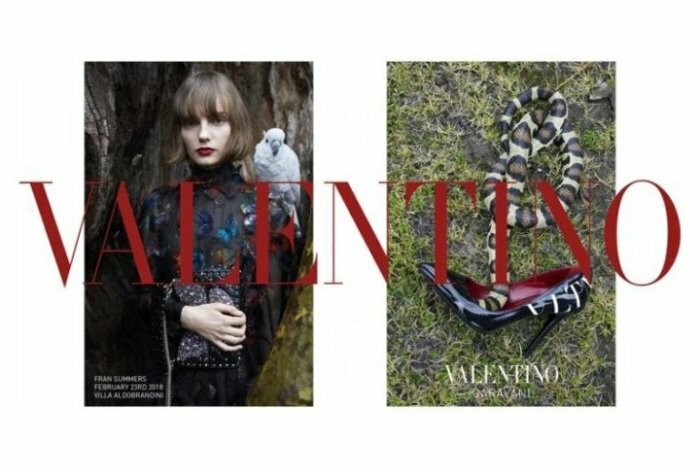 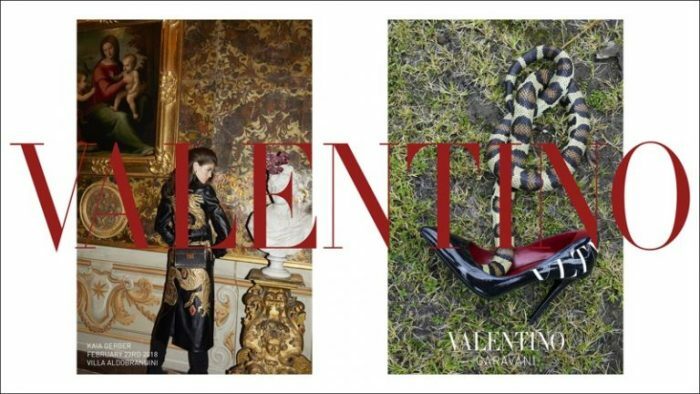 Photographed by Juergen Teller, the duo poses at Villa Aldobrandini alongside snakes, owls and birds. 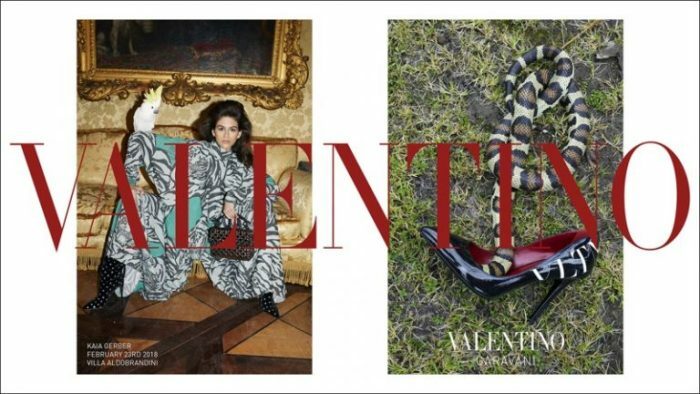 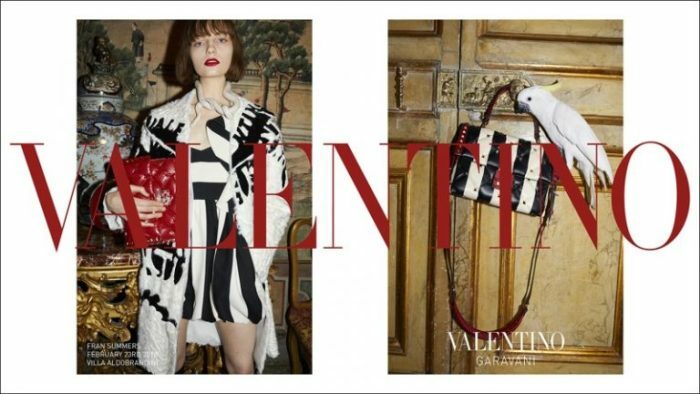 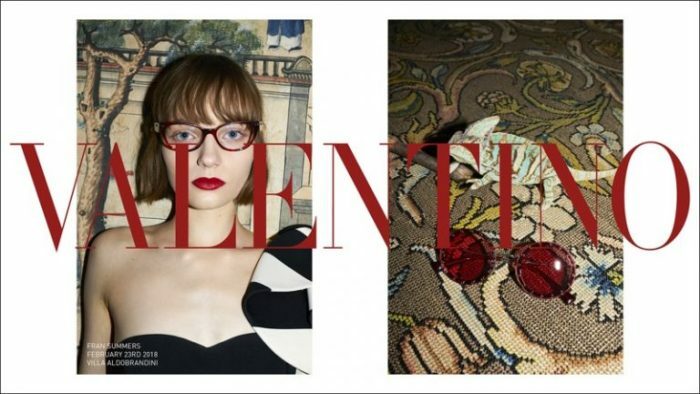 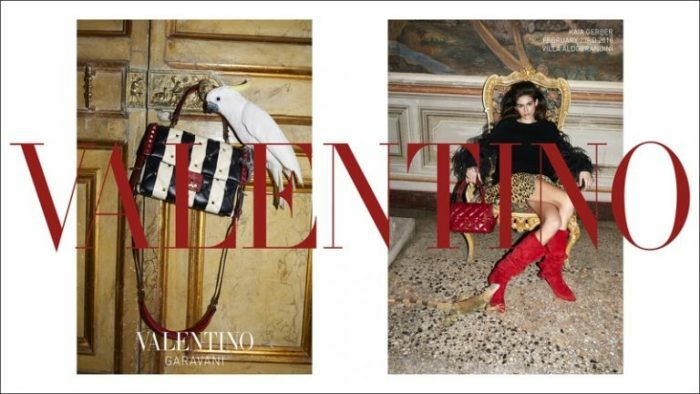 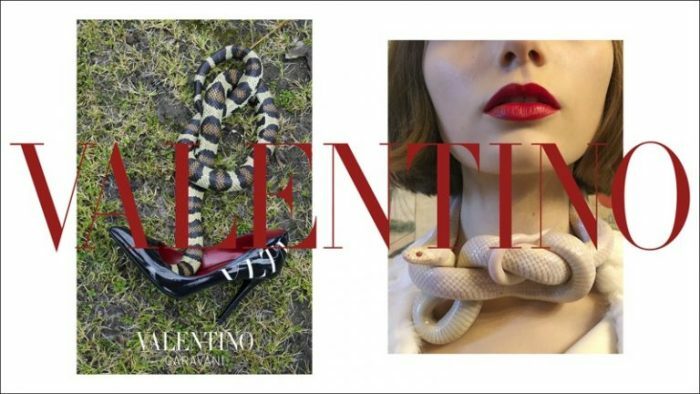 The campaign juxtaposes imagery of the models alongside new season bags and heels. 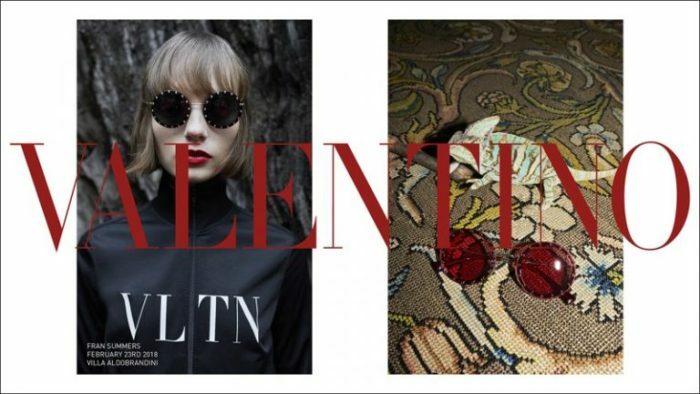 The VLTN logo decorates accessories and clothing for pre-fall 2018.